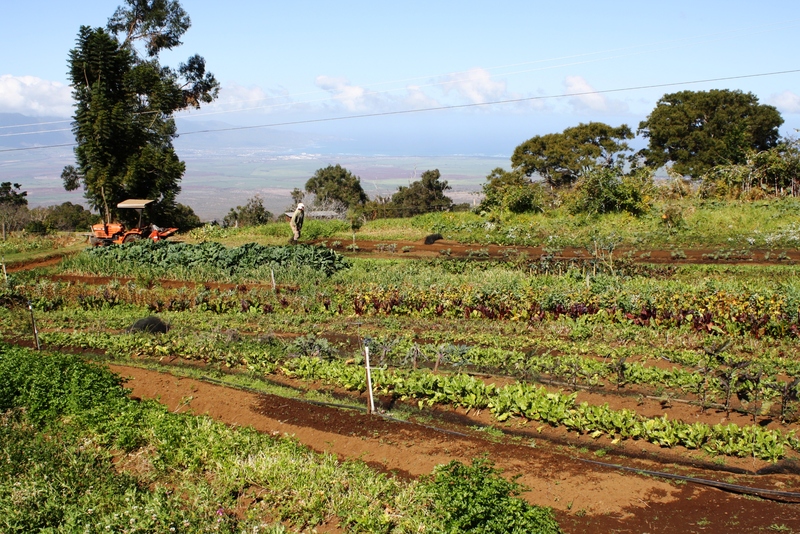 food & travel: O’o Farms, Maui | eat. drink. fly. 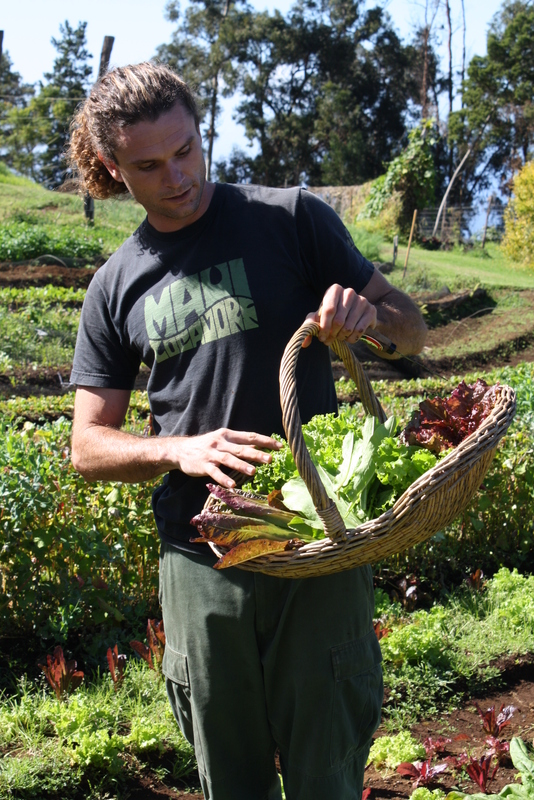 one of my favourite parts of my trip to maui was O’o Farm. I know, for a girl that lives mere minutes away from farmland, you’d think that seeing a farm wouldn’t be a high priority. but i’m oh-so glad that we made it one. the farm itself was a marvel to me. 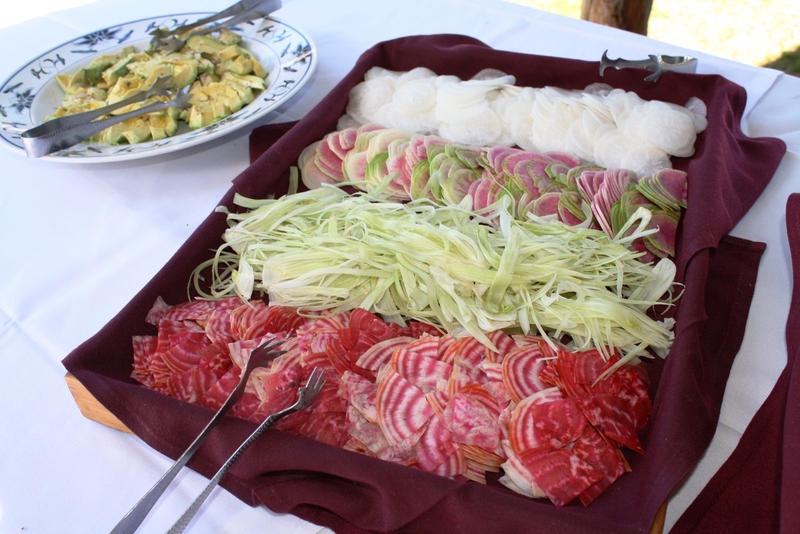 existing only to service two high end restaurants with fresh organic produce, this is not really a “working farm”, but more a culinary indulgence of chef/owners. which i think makes for a really unique and special farm experience. 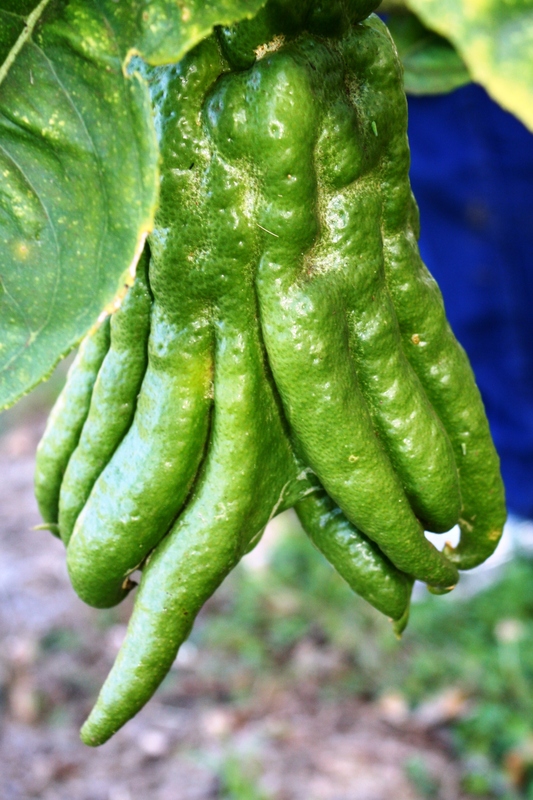 every single thing grown there exists because the chef has requested it for the menu or because it is a control plant to attract/detract pests or to add or remove nutrients to/from the soil. everything has a purpose here and nothing is wasted. in fact, there’s not even anything extra to sell. 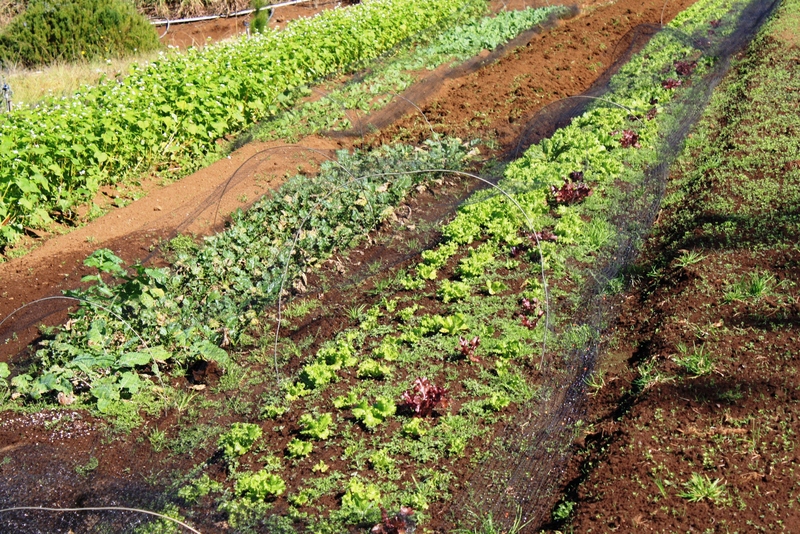 the restaurants and the farm tour use everything grown here. even the fish carcasses from dinner service and coffee grounds make their way back to the farm to be composted. this was a beautiful working example of a sustainable farm. i left here feeling inspired. this is the lifestyle of my dreams. 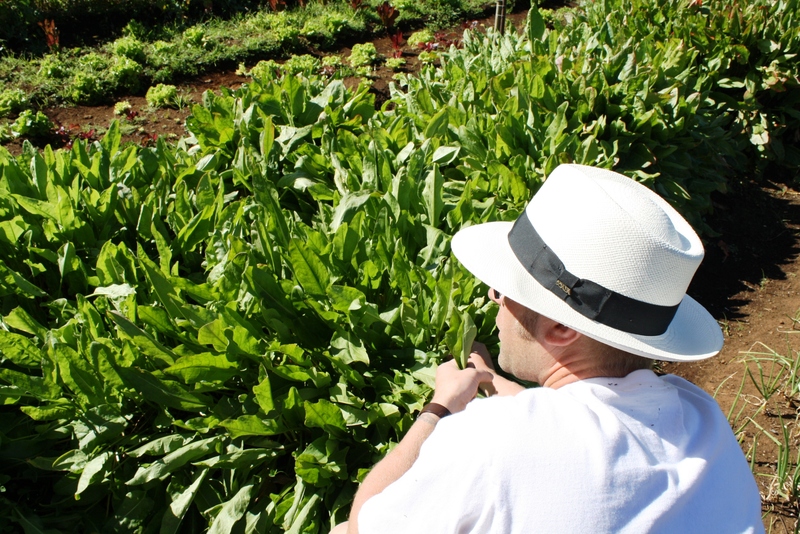 to be in hawaii, growing the food that i serve at my restaurant? i don’t think they could have possibly pinpointed this better for me. so if i run away, this could very well be where i am. okay, now on to the good stuff… we’ll start with the view. 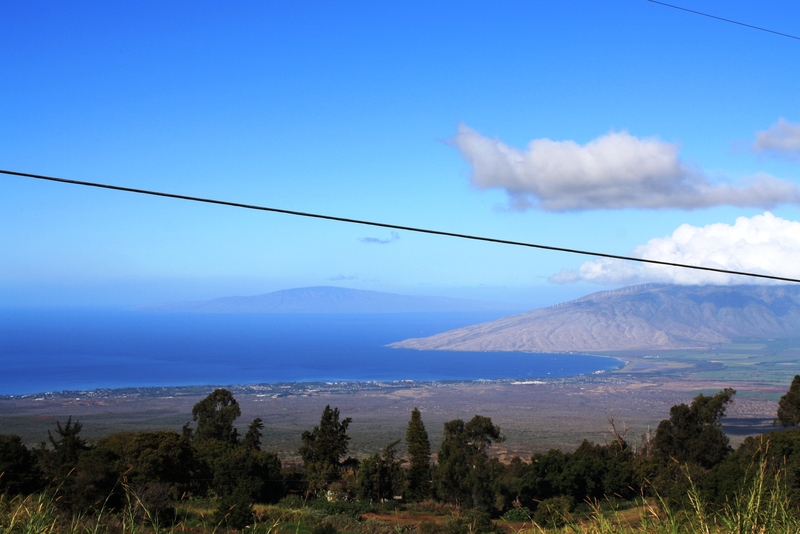 the farm is high up the crater with a spectacular view of kihei. ya, pretty rough, hey? that could sooooo be my workplace view please. 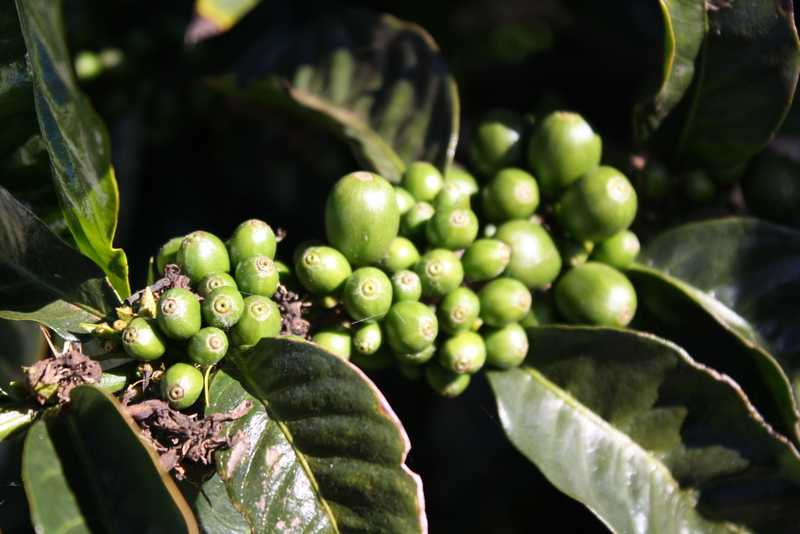 after sampling the berry of the coffee plant – you eat the red ones and spit out the beans. it’s really an interesting flavour… very sweet off the start with a tart finish. of course here there’s no waste, so they use the berry in cooking & garnishes in the restaurants and dry it to make tea from it (which i bought a bag of) and then they roast the beans inside. the stone fruit trees were done for the season (funny to hear about it being “winter” in hawaii) so we moved over to where we’d be dining and met the chef. she told us a little about the food we’d be eating and where it came from (everything from the farm except the fish which was caught yesterday just off the maui coast and the tofu). 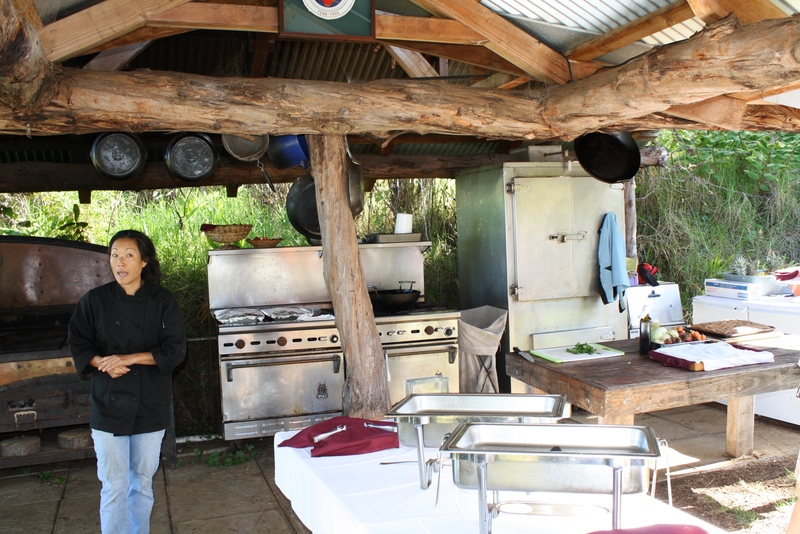 she also shared her culinary journey and how she ended up cooking for the tours and such. 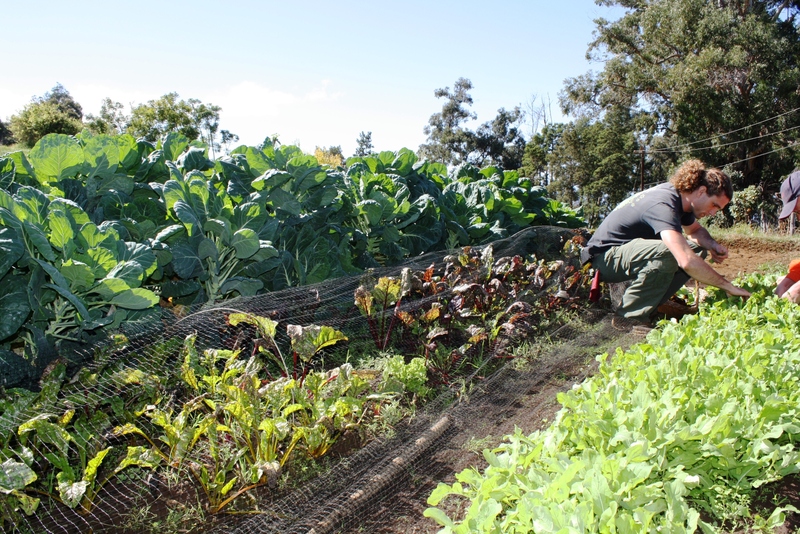 then we moved on to see the fields and pick our salad greens for lunch. …and grabbing a little more arugula. 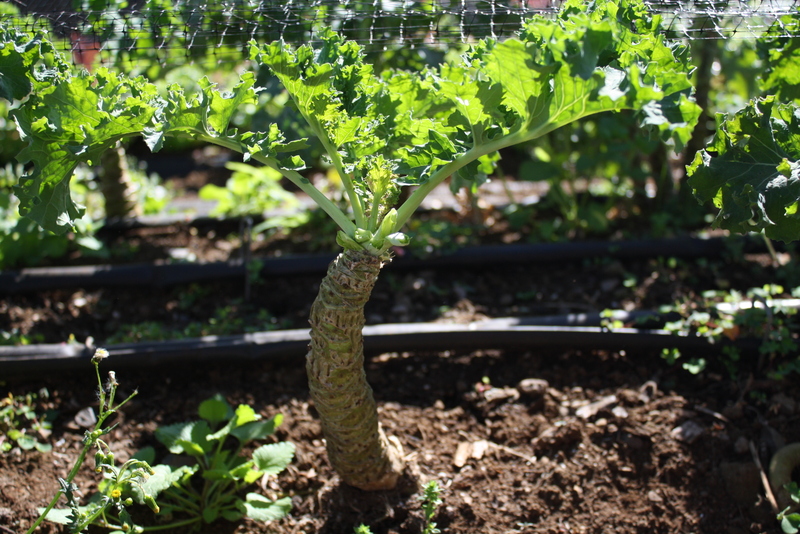 this one is just a cool picture of a kale plant. because i dig kale. 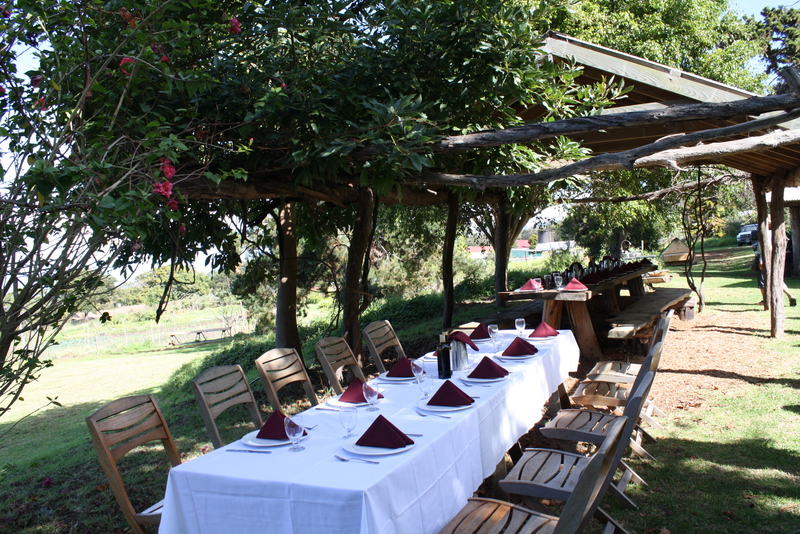 then we ventured back to the “dining room” for our feast. 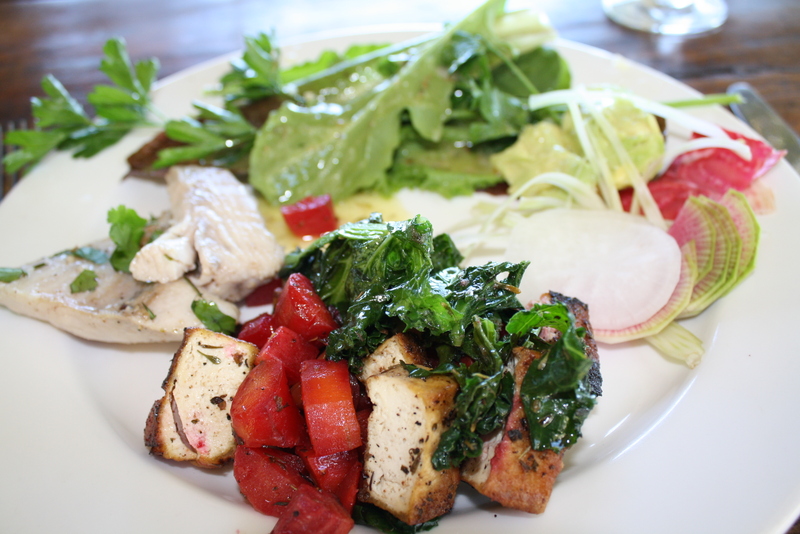 and my plate all loaded up with the tofu, beet & chard dish, the mahi mahi in sweet maui onions & citrus and of course the fabulous salad. all wheat-free, and all absolutely delicious and bursting with freshness. everything from the farm had been in the ground mere hours ago. after a plate (okay, maybe and seconds) we chatted with the people sitting around us… almost everyone had brought their own bottle of wine (ours white & refreshing) and we discussed the farm and our own personal reasons for being drawn to visit it. 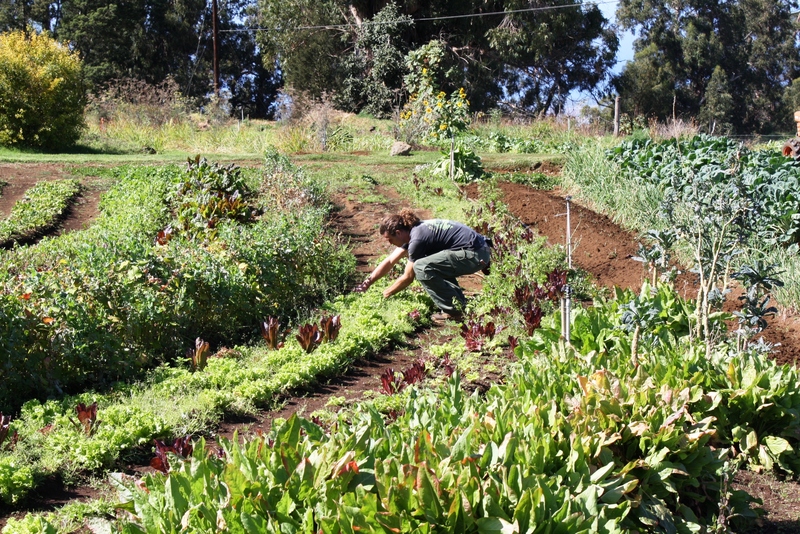 there were lots of foodies that were fans of the restaurants associated with the farm… a lot of gardeners, both hobby & small business… and just generally people that loved this lifestyle of natural, sustainable living. it was very cool. 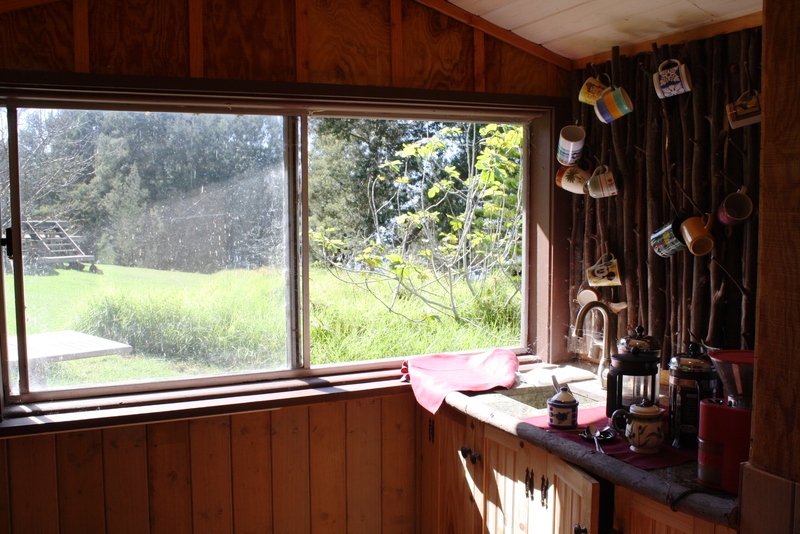 after a bit, the chef brought out a plate of chocolates that she had made and a big bowl of still-shelled macadamia nuts for us to crack & snack on and our guide invited us up to the “coffee house” where he had brewed us some coffee that he had roasted that morning. 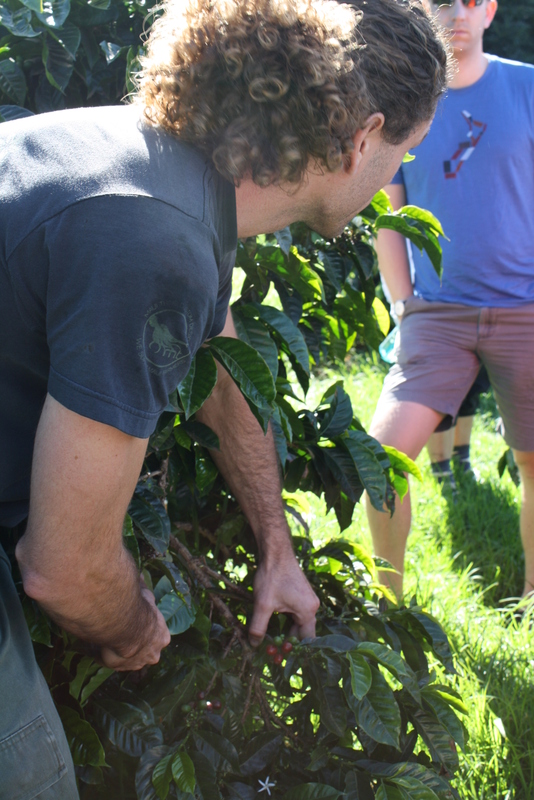 my husband and i gladly trucked up the hill and had 3 cups of the coffee each, while chatting with our guide about the coffee, growing it, roasting it, varietals ect. we ended up buying $100 in premium coffee from him, including a batch that had just been roasted, but wasn’t even bagged yet for sale. we just got talking about it and so he ran down to the roasting house and pulled some out for us. people, you can not beat this. 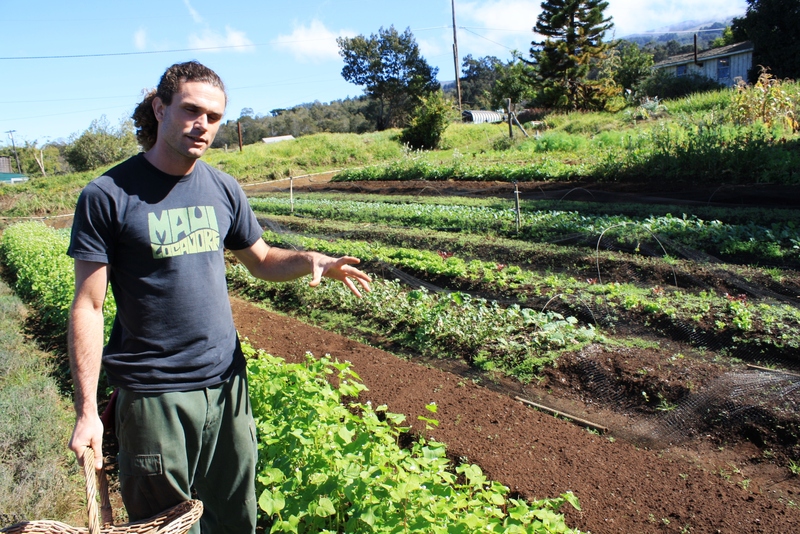 honestly, if this kinda thing isn’t up your alley, then there’s nothing i can say to convince you… but if this kinda thing tweaks your fancy, then you MUST do O’o Farms tour in Maui. it was $50 well spent on an excellent and truly awesome experience. in fact, we decided that we would do this every trip, just to see what’s growing at different times of the year. and the restaurant is definitely on our “must eat” list for next trip too. oh my god, oh my god … so doing this. this is heaven on earth right here. where is jeremy, he’ll love this post too! kay, when we book for maui (hopefully at some point down the road you’ll be able to enlighten me as to when the best time to do that would be and we will obviously book with you) i’m going to have to sit down with you and pick your brain …. this is all so much wonderful to take in!